Order today for pick up tomorrow! 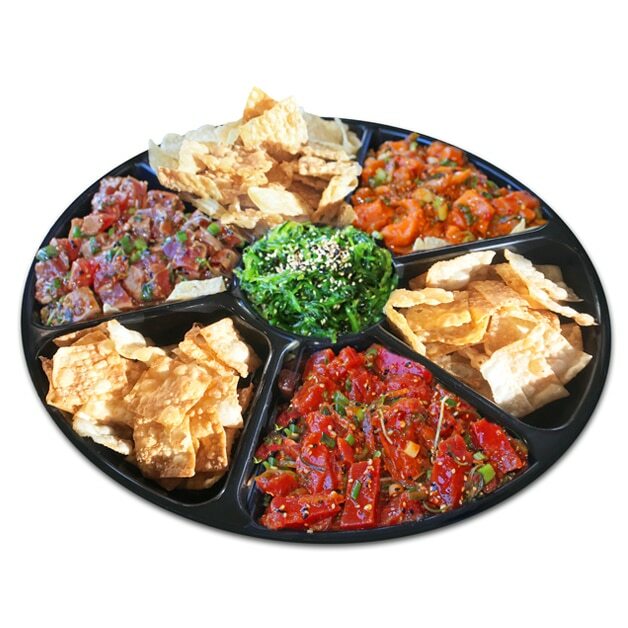 Bring the taste of Hawaii to your next gathering with our Poke Platter. Three delicious flavors include original Ahi Tuna, Spicy Ahi Tuna and Spicy Salmon Poke. Served with sesame seaweed salad and fried wonton chips, there's something for everyone.